I praise God that I was able to go to Chiang Mai last month to attend CC Asia Mission Conference. It was really a very blessed time as I met many of my friends and many other new people from Calvary Chapel Family. Teaching was really great and most important for me was the “fellowship”. 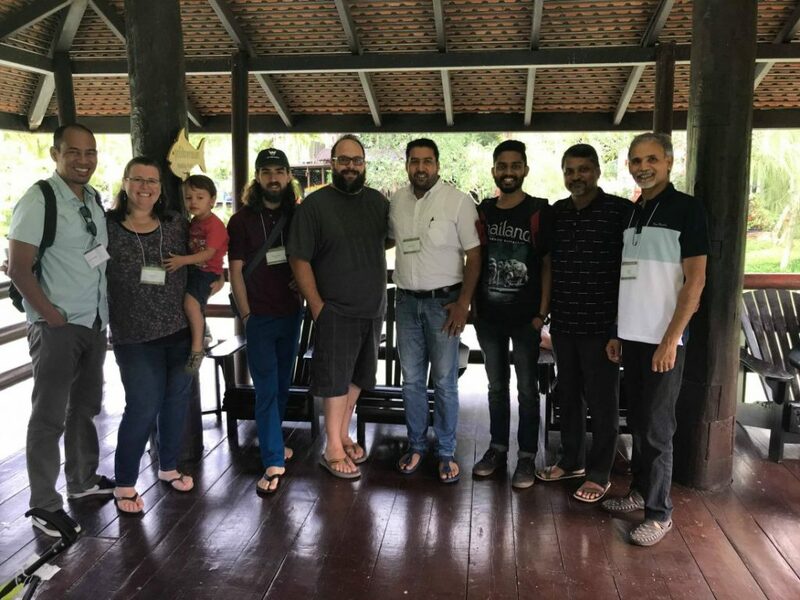 This was my first time attending CC Asia Conference and I am really blessed and refreshed spiritually and physically to have a short break from our routine and learn from and fellowship with some really wonderful brothers and sisters. On my way back I stayed for few days at Calvary Chapel Bangkok, which is planted by two wonderful and old friends. It was blessing to see how they were reaching people from many different countries with the Word and love of Jesus Christ. I really wished that my wife and some people from our team also could go. It was not possible because of financial limitation, we are praying for next year’s conference if that be the will of our Father. I want to request you to keep this in your prayers. 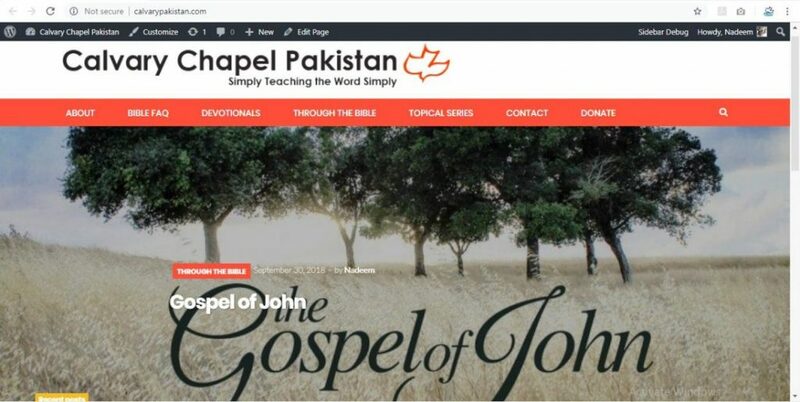 While I was in Bangkok, I worked with my friend Tyler to build the website of Calvary Chapel Pakistan [calvarypakistan.com]. In Pakistan, we have so many Charismatic movements where people only learn about health, wealth and prosperity and so-called miracles. And along with this many cultic movements are also working and misleading many Christians. Teaching of the word of God is not very popular in most of the churches. We are going to use this website for Biblical teachings in Urdu language both in written and audio format. We have been working on many different translations in Urdu and we are also recording “Devotional Series” of the sermons, “Through the Bible” and some topical messages. We hope and pray for this website to be a great tool in the hands of our Lord to reach and touch hearts and lives of many people. Last year we had wonderful fellowship program with the brick makers, a group of people living outside of the town. They are very poor; they lead really tough life like slaves. We have been reaching them for long time with the word. 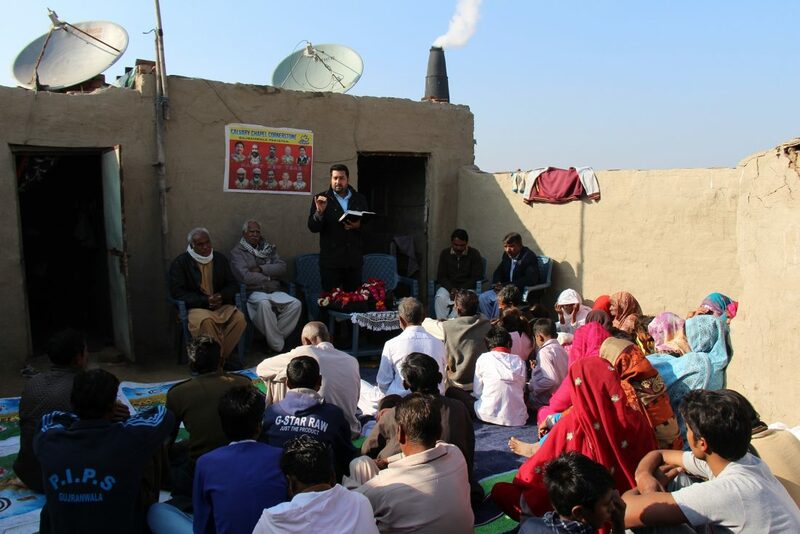 During some months in this summer we also reached other groups of disadvantaged Christians. Like last year we wish to arrange an event of worship and fellowship with these people and want to request you to join in with us through your support and prayers. Last year we provided some food items, warm clothes and vitamins to those people. Please keep this need, our church services and other activities of the ministry in your prayers! I want to use this opportunity to share with you about our ministry’s financial condition and need. The account balance of general [operational] funds of our ministry is in negative. We are in need of your prayers and your financial support. If Lord leads you to support Calvary Chapel’s mission project in Pakistan, please Click Here to support CC Pakistan.